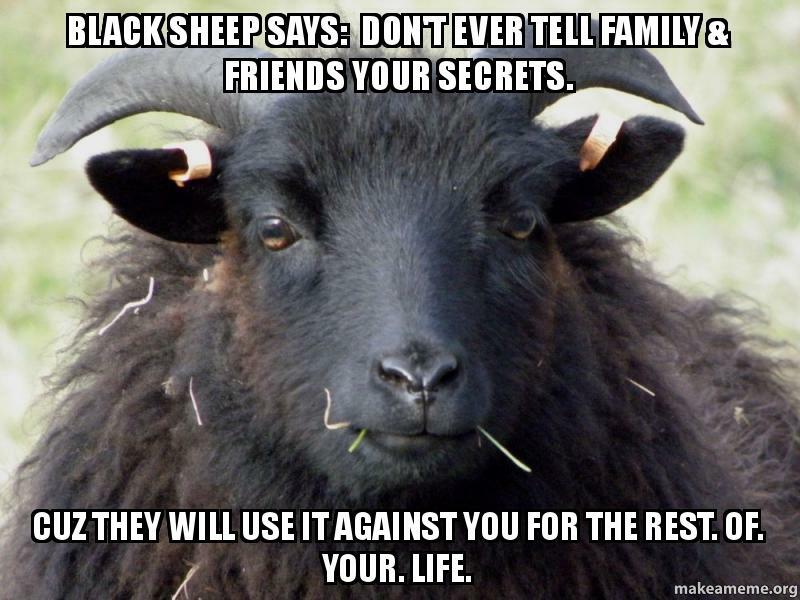 Black Sheep says: Don't ever tell family & friends your secrets. - Cuz they will use it against you for the Rest. Of. Your. Life.